Here you will learn how to add a new group. Give your group a name. You can also add the year and semester. 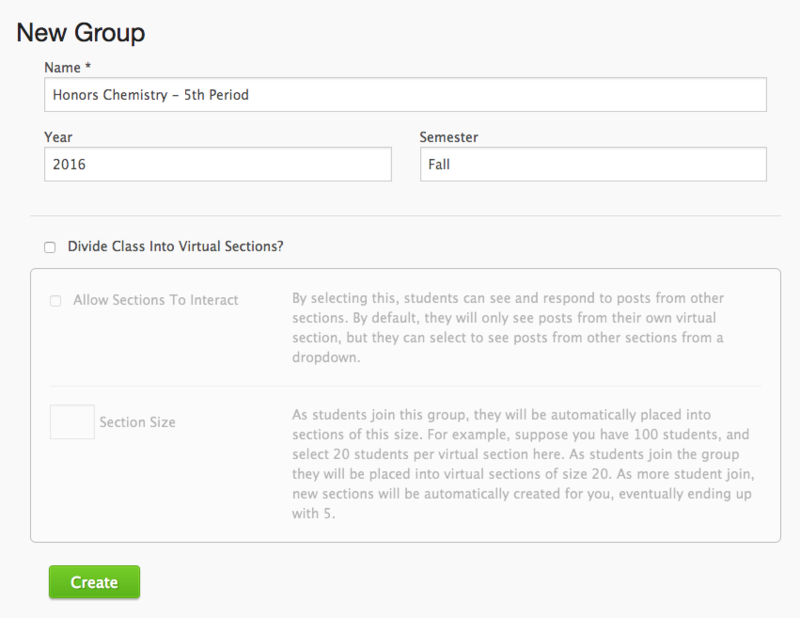 You can also divide your group into Virtual Sections. Keep reading to see more information about this.